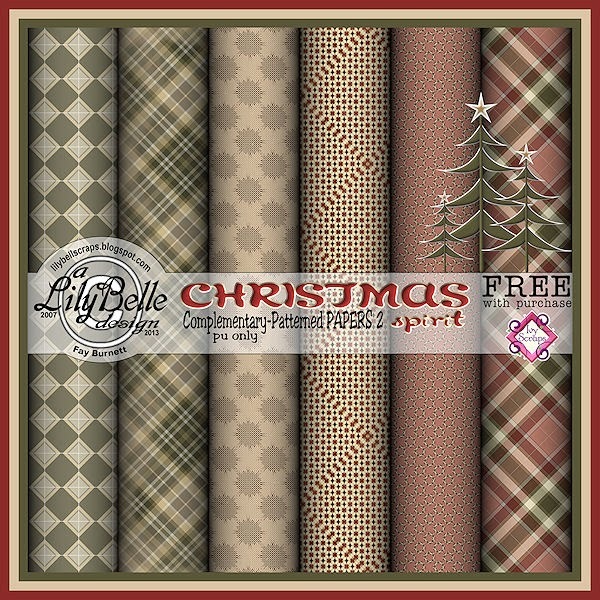 These four papers (in the free download) have a patterned burlap texture and the clusters were created using the elements from Christmas Spirit, my minipixel kit for December. 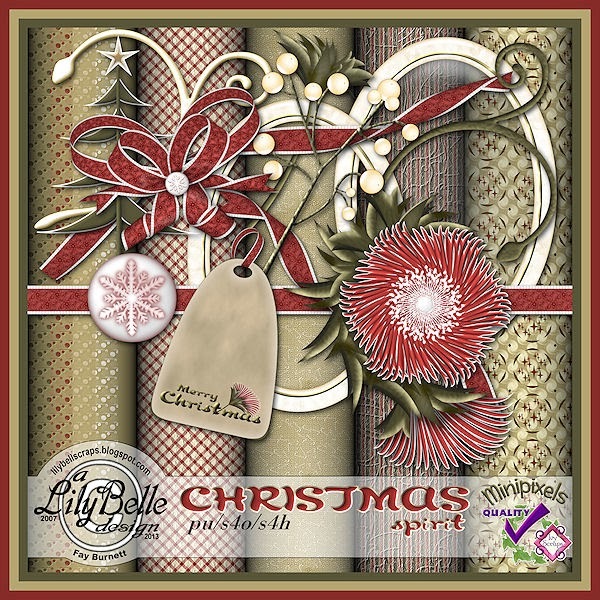 You can buy this minikit for $1 in the store at Ivy Scraps. 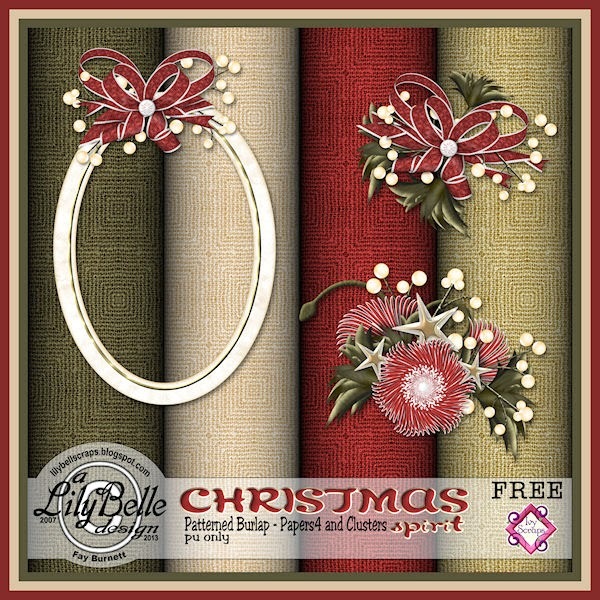 I usually create a freebie for Ivy's monthly newsletter and you should find this quickpage for download in the December 1st issue. 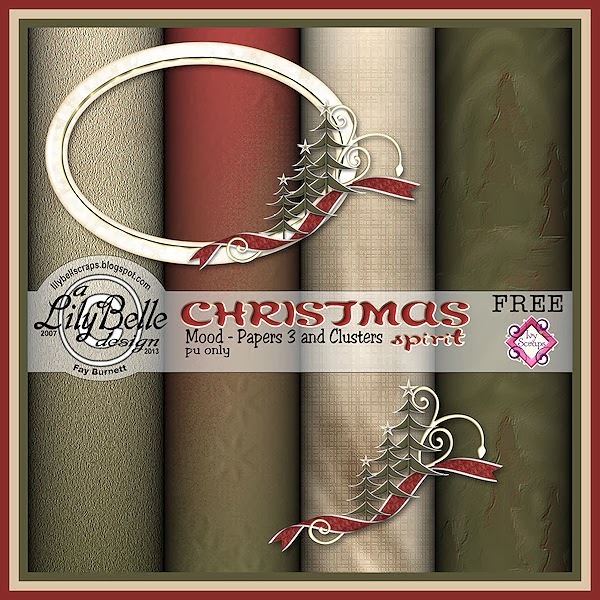 For another freebie, hop on over to Ivy's blog and pick up these papers and clusters. Finally, here are the burlap papers and clusters I mentioned earlier. Thank you for the pretty Christmas goodies, Fay. Going to have to gather up the Mini Pixels this month. The link to your QPs in the newsletter is not working, so I hope they fix and resend it. Blessings for the holiday season!